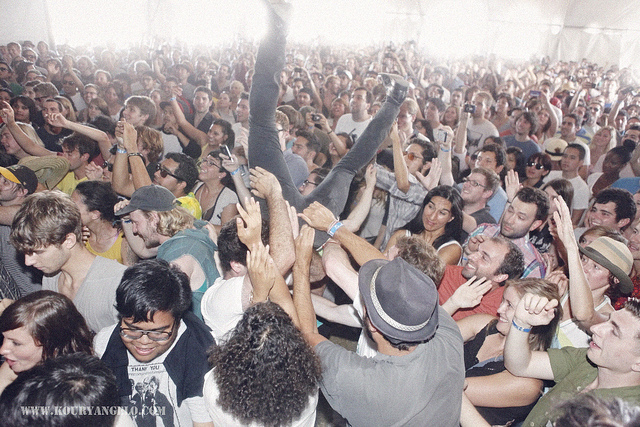 Compared to other festivals around the world, FYF Fest in Los Angeles is still in its infancy as it celebrated its eighth year this past weekend. 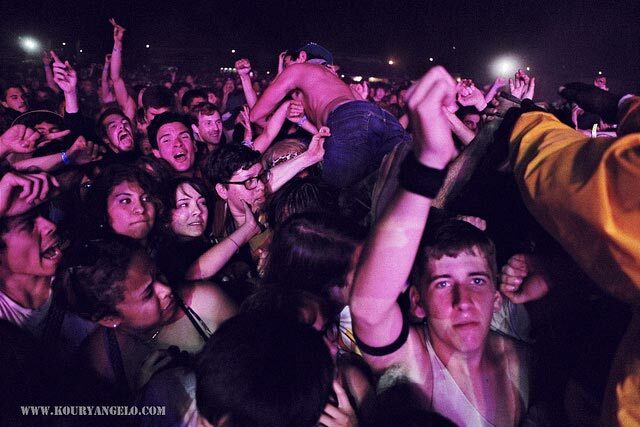 However, with 37 bands and 18 comedians spread out on five stages, it is quite the extraordinary kid on the block. Last year the festival received a lot of beef for long lines, water shortages, and overall poor planning. A year can make a big difference and the festival organizers seemed to have learned their lesson as all previous issues were remedied. That left a great line-up of reunited punks, college rock veterans, mid-heavyweight electronic music-makers, and a new graduating class of garage rock to reign over the LA State Historic Park. Although bands like Guided By Voices and The Descendents did a good job at fulfilling nostalgic dreams, it was the bands with an eager spark that really stood out. And extra cool points to FYF for naming the stages after the Teenage Mutant Ninja Turtles. Although its band members have a history in performance art, list Kraftwerk as an influence, and are praised by indie critics, Future Islands are one of those bands that most people might not understand when listening to their record. However, in the live setting, everything becomes clear. 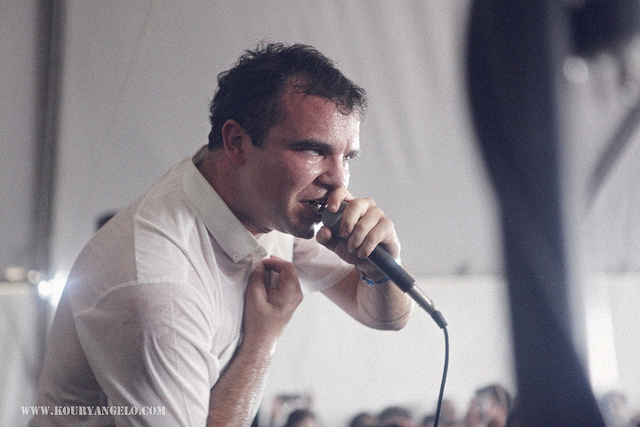 It is like an epiphany which reveals to all that Future Islands is a phenomenal band that makes gorgeous music. At 3:35 p.m. it was a really hot part of the day and the tent where Future Islands performed (AKA Splinter’s Den) was packed. But it was not just full of people simply trying to escape the heat. On the contrary, the crowd loved Future Islands and were dancing and clapping to the synthy beats and genuine vocals of this Baltimore band. Vocalist Samuel T. Herring bounced around on stage the entire time with an enthralling energy. After playing “Walking Through That Door” and “Tin Man” both off last year’s In Evening Air, the crowd could not resist joining the band on stage. Future Islands wins for the most pleasant surprise at FYF Fest. 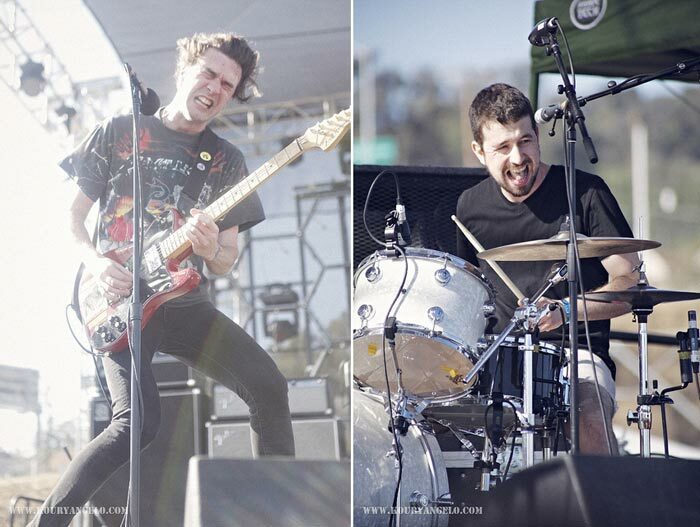 The greatest news revealed at FYF Fest came from Brian King of Japandroids who announced that a new Japandroids record is in the works. The band performed on the dustier side of the festival where it was inevitable for crowd members to get a little dirty. Sure, there were loads of wood chips covering the dirt surface, but a band like Japandroids just calls for a lot of reckless dancing. Even though the duo started with a new song, which was a tad less gritty than older material, the energy was still full of adrenaline and quickly spread to the crowd. With another new song which was more intense than the former, fan favorites “Wet Hair” and “Young Hearts Spark Fire,” and a cover of Gun Club’s “For the Love Of Ivy,” nobody seemed to mind leaving with an extra coat of dust. 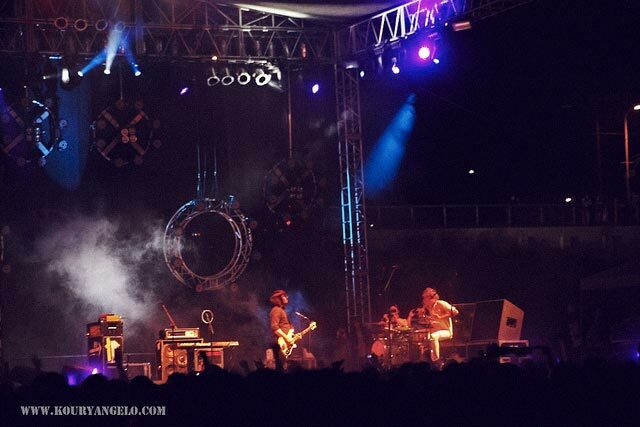 In REDEFINE’s pre-festival coverage, YACHT’S expansion to a full band was noted as further enhancing their live show. That was no lie. Tucked away on one of the side stages, AKA Raphael’s Stage, YACHT induced one of the day’s biggest dance parties. Already known for a staggering live show and visual presentations, Jona Bechtolt, Claire L. Evans and the band seem to kick it up a notch with every show. Focusing on songs off the new album Shangri-La and 2009’s See Mystery Lights, YACHT gave the crowd very few chances to rest. Even in between song breaks, brains were stimulated. In addition to a Q&A session, at one point a map of the United States was brought up on the screen and Evans introduced the band members and talked about the “Utopian Triangle,” which consists of Portland, Los Angeles, and Marfa, Texas. Amidst all the dancing and schooling, YACHT even had time to sneak in an exhilarating cover of “Mesopotamia” by the B-52s. Those unfamiliar with Dan Deacon must have been confused at the sight of a stage filled only with photographers in front of a backdrop with a skull shooting neon rays. Dan Deacon does not do stages; his shows take place in the middle of crowds. Though it was nearly impossible to actually see the man behind the cascading electronic sounds, it did not matter. Deacon created an atmospheric setting that was both reflective and chaotic. The music was transcending, and in the open air, seemed to be beaming in from space. Although Deacon discouraged crowd-surfing — most likely for the sake of not getting hurt while he performs in the middle of the crowd — his set trivaled those of preceding performers Nosaj Thing and YACHT for most raging dance party. The great thing about Death From Above 1979 is that their music is loud, heavy, and completely danceable. It’s a win-win situation for everyone, especially for those who consider dancing more than just head-bobbing. Despite some technical difficulties at the start of the set where the duo said that they could not hear themselves in the monitors, everything sounded incredible from the perspective of the crowd. In an hour, DFA 1979 managed to weave in and out of more than 10 songs, the majority off the full-length album You’re A Woman, I’m a Machine. Surprisingly, drummer/vocalist Sebastien Grainger stayed sitting down at his drumset for most of the set and bassist Jesse F. Keeler did not move too much about the stage either. Though frustrated with the sound, the guys seemed to enjoyed playing and were appreciative of the crowd’s strong energy.